Queer Eye's Jones Sisters: Where Are the BBQ Masters Now? Netflix’s Queer Eye is the gift that keeps on giving. 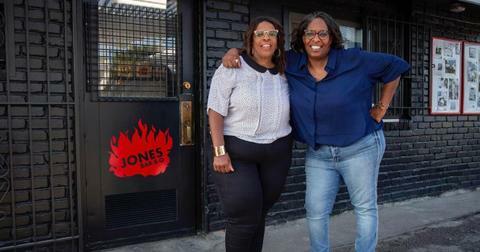 The reality show’s third season just dropped, but it’s already done wonders for the Jones sisters, who were featured on Episode 3 along with their barbecue business. 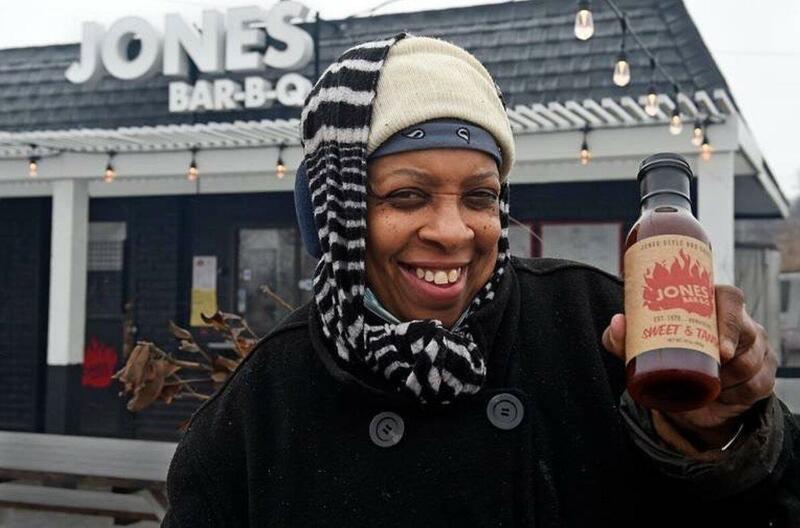 Deborah and Mary Jones own and operate Jones Bar-B-Q, a Kansas City restaurant that, according to food and wine expert Antoni Pororwski, serves the best barbecue in town. 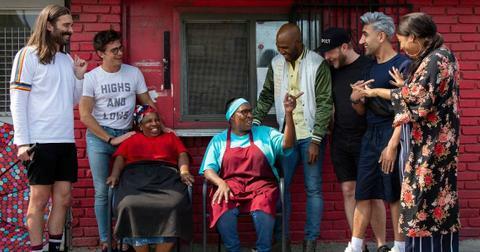 The incredibly hard-working siblings, whose days start at 3 a.m., inherited the business from their father, Leavy B Jones Sr.
"Our dad always told us to make sure you work and then you understand the joy of having your own money instead of waiting on somebody to give it to you," Deborah told Queer Eye’s resident culture expert Karamo Brown. Scroll down for more info on Missouri’s newest icons — and how you can buy some of their famous BBQ sauce. 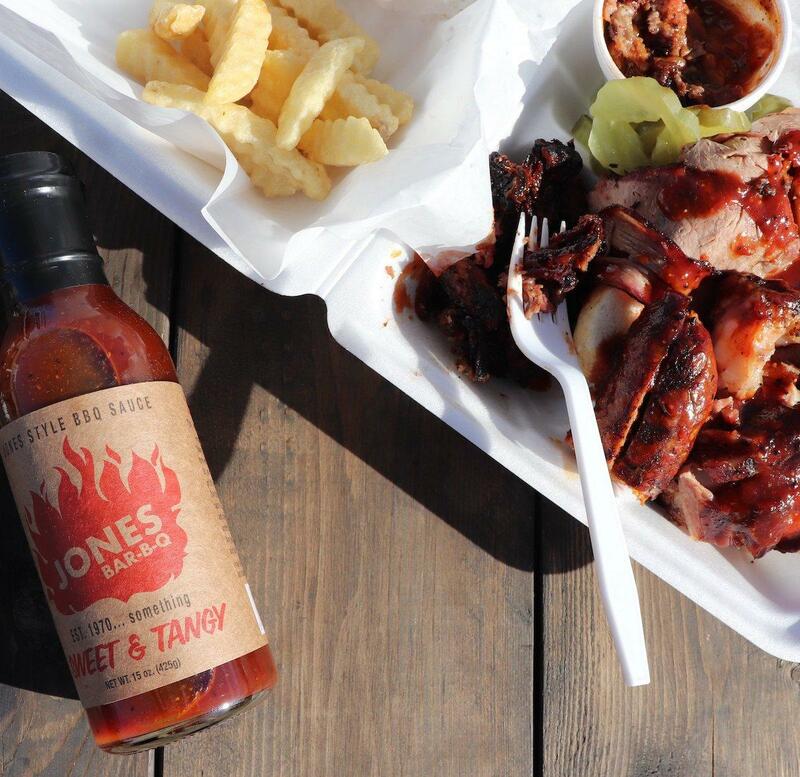 Jones Bar-B-Q is a beloved staple in its community. The family makes all of their food fresh every morning and has hundreds of loyal customers. "I’ve been coming here for over 20 years," one woman told Karamo when she was waiting in line at the restaurant. According to Deborah’s daughter, Izora, one of the reasons the sisters kept the establishment up and running is so they can help her get through college. "They balance each other out very well," she shared. 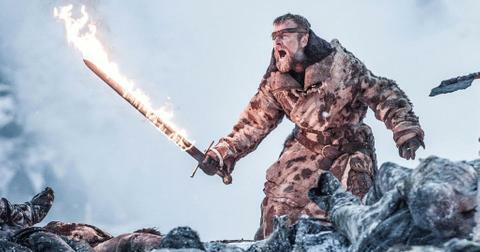 "They’re very fiery, driven, 'we can do this,' 'we can keep doing this.'" Following their episode’s debut, Deborah and Mary shared their gratitude on Instagram. "We have received so much love and support from all around the world since our @queereye episode aired on Friday," they wrote. "We are feeling so blessed and want to say thank you from the bottom of our hearts for your thoughtful and touching messages. Your words are so meaningful." With the help of the Fab Five, the business owners were also able to start bottling their own secret sauce, which is what makes their BBQ truly unique. After selling out their first batch in just two days, the sisters are once again taking orders for their sweet & tangy BBQ sauce, which you can purchase for $6.99 on their website. Deborah and Mary addressed the shortage with a post on social media. "Let's talk about the sauce. As of yesterday morning [March 17], we sold 11,000 bottles," the siblings shared. "We averaged 1.7 bottles per minute this weekend. We are feeling so much love and support from all of you. "THANK YOU to everyone who ordered a bottle," the post continued. "Your support means so much to us! Now, we're asking for your support in the form of patience. Please allow 7-10 days for your sauce to arrive. To all our friends from around the world asking for our sauce, we hear you! It is one of our goals to start shipping internationally soon. Keep an eye on our page for updates." We’re thrilled to see these wonderful women thriving and accumulating fans all over the globe! In an interview with local news station KSHB, Deborah said she’s embracing the larger crowds that have come out since her and Mary’s episode began streaming on March 15. She’s even started preparing the meat at midnight to accommodate the sheer number of people who are showing up. Mary added of the experience, "It changed my life tremendously. I’ll never be the same again. God is good. It’s been a long time and maybe he said, 'You girls, I gotcha now.'" Watch new episodes of Queer Eye, streaming now on Netflix.